Standard exchange of spare parts (for unit in warranty), please contact our GSS (Global Sales Support). Purchase spare parts (for wearing parts or out of warranty unit), please contact our GSS. RMA number is valid for 30 days from the date issued. Do not add up any unauthorized item or product to an issued RMA number, any unauthorized item or product will be refused or the entire shipment may be rejected. RMA number must appear on the shipping label outside of the retuning package, including a copy of the original invoice and a copy of RMA form. The returned package may be delayed or refused by Customs in any insufficient shipping information or document. Please pack the returning item or product in original packaging or equivalent protective packaging to ensure that will be arrived to Sintrones in damage free. Customer is responsible for the packaging of item or product in return. The warranty may be void on returning item or product is in insufficiently or improperly packaging. 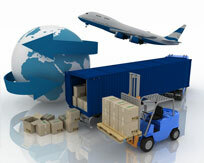 Customer should pay for the forwarding freight fee of RMA shipment to Sintrones. Sintrones will pay for the returning shipment freight fee to Customer. Customer will receive a credit on DOA (Defective on Arrival) forwarding freight fee upon confirmation of defective reasons. Sintrones suggests the returning package is with shipment insurance by Customer. Sintrones will not be responsible for any loss or damage of merchandises returning from Customer. COD (Collect on Delivery) package is not acceptable by Sintrones. Sintrones may refuse the returning package from Customer if the RMA returning package to Sintrones is broken or in abnormal conditions. Sintrones will attempt to inform the package condition to Customer within two working days. Any returning item or product is not same as the original RMA claim. The returning item or product shall be set in process as out-of warranty and applied to out-of-warranty service charge. Customer is solely responsible for all software data, software license, content privacy and any legislation issues of software in all returning items and products. Sintrones is not response for all software of Customer in the item or product repairing at Sintrones. Sintrones suggests Customer process all software before the item or product returning to Sintrones. Sintrones suggests not enclose the manual, disk, cable or accessory in the returning item or product for repair. Return for credit item or product must be in the originally non-opened shipping box and carton packaging. Custom agrees the re-stocking charge of 25% or above of total returning merchandises value. DOA (Defective On Arrival) replacement item or product will be forwarded to Customer as receiving conditions of item or product which returned from the Customer. RMA returning address : 6F.-3, No.738, Zhongzheng Rd., Zhonghe Dist., New Taipei City 235, Taiwan (R.O.C.). Attn: RMA Dept. Sintrones will repair the item or product in free of labor and material charge as the item or product is within the warranty period. The warranty is void if the returning item or product is found in misused, abused, scratched, mishandled, mislabeled, modified, or altered in any way or caused by any kind of nature disaster. The item or product shall be set in process as out-of warranty and applied to out-of-warranty service charge. Sintrones will repair the out-of-warranty item or product upon Customer confirmation by an RSC (RMA Service Confirmation) in the estimated cost of parts and labor. Customer must agree the returning freight fee of repaired item or product by "EX-WORKS" shipping term at Sintrones. DOA period within 30 days as the invoice date of item or product. An RMA number is required for the DOA item or product return. Sintrones technician will test and determine the DOA product before replacement. Any found DOA item or product will be repaired or replaced within 10 working days after receipt at Sintrones, as the item or product is in stock and is still an inventoried item.